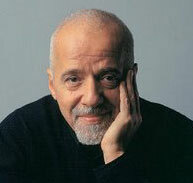 Paulo Coelho, author of books such as "The Alchemist" and "The Witch of Portobello", sold over 100 million books last year. In part, he puts this success down to BitTorrent, as he saw a huge increase in sales when his books appeared on sites such as The Pirate Bay. We talked to Coelho to find out more about this remarkable story. “Since the dawn of time, human beings have felt the need to share – from food to art. Sharing is part of the human condition. A person who does not share is not only selfish, but bitter and alone,” Coelho told TorrentFreak, explaining why he decided to share his books for free. His urge to share received quite a lot of attention after Coelho started a weblog with the name Pirate Coelho a few months ago. His motivation? He wanted people to have the opportunity to ‘try’ his books for free, but he knew some of his publishers wouldn’t agree right away. So, he took matters into his own hands and put his own books onto BitTorrent, FTP sites and Rapidshare. BitTorrent is one of the filesharing networks Coelho uses to share his books. “I am using it now, while doing this interview,” he says, and he encourages other authors to follow his lead. “The ultimate goal of a writer is to be read. Money comes later.” This is of course easy to say for an author who has already sold millions of copies, but Coelho goes even further, and argues that ‘sharing’ books will actually help upcoming authors to sell more books. It is a win-win situation. “I do think that when a reader has the possibility to read some chapters, he or she can always decide to buy the book later,” Coelho says, indicating that it is not a lost sale. On the other hand, the Internet makes it easier for new authors to publish content, and get people to read their work. “Nowadays, people are being encouraged to write, and start blogs, the book industry already found a few new talents on Internet,” Coelho says. When we asked Paulo about the difference between book piracy and the unauthorized copying of music and movies, he told us that it is difficult to compare, since it is easier to consume movies and music digitally. Most people still prefer to read a real book however, pirated ebooks are more often used to preview. This can always change in the future, but for now Coelho is not impressed by the ebook reading devices that are out there, and many of his readers seem to agree. “A (real) book is easy to carry, easy to read anywhere. Reading a book on a monitor on the other hand is very tiresome, and it would be even more expensive to print (considering cartridge prices) than to buy a paperback,” he says. What the movie and music industry can learn from Coelho, however, is that availability is of the essence, and restrictions will only lead to reactance. What if book publishers started to sue libraries?